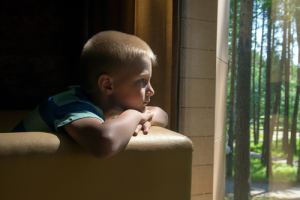 Home » Is my six year old depressed or over-scheduled? Is my six year old depressed because he or she is overscheduled? Are those extracurricular activities are no longer fun? How can a parent determine how much is too much? And what can a concerned parent do? Are they destined to be a developer stuck in a basement all day? Are they destined to be a doctor or lawyer if I can get him out of his shell? Like most kids his age, my six-year old discovered brooding at an early age, but it didn’t really get intense until last year. He WANTED to be alone. He WANTED to spend time away from people. He WANTED to be depressed. The number of extracurricular activities for my six year old, which exist for all of today’s children, is mind-boggling. Afterschool activities were designed with positive intent. Through them, kids learn sportsmanship, build self-confidence, learn discipline, develop social skills and get exercise. If you are watching your child deteriorate due to stress, burnout and exhaustion from his busy schedule, it’s time to intervene. First, parents need to determine what part, if any, they played. Unfortunately, some parents are too pushy. This type parenting is driven by the quest for success. In effort to ‘help’ their child succeed, they are interviewing private pre-schools before the bows come off baby shower presents. Others want their six-year old to be constantly engaged. By insisting their kids do what other kids do and do it better, there is no time for normal kid stuff, like investigating how things work. By themselves. These are parents who must “keep up with the Joneses” by never even entertaining the question is my six year old depressed? That leaves the rest of parents who truly want what serves the best interests of their child. Some six-year olds are joiners and others follow their friends lead. Just thing what happens when high school students begin applying to colleges, the pressure accelerates to maintain an impressive list of extracurricular activities. What are Signs of Activity Overload for a six-year old? Your child will manifest signs when they are too busy. Pay special attention to his or her health. Is he or she complaining of headaches or stomachaches? Does she or he seem anxious? Is schoolwork suffering? Are they getting enough quality sleep or do they complain about being tired? Are they starting to grumble when it’s time to leave for school or after school activities? Monitor the moods. If your happy-go-lucky kid starts waking up in a grouchy humor or cries a lot, it’s time to make a schedule change. It’s obvious your child’s life is out of balance. He’s not having fun. She doesn’t have time for unstructured play. His grades are slipping because practice consistently runs late, leaving inadequate time to study. She keeps getting sick because she eats on the run and doesn’t get quality sleep. It’s decision time. It’s time for your child to take a slow-down. Family dinners are all about communicating and reconnecting with family members. Even more important, studies have found that eating together as a family unit, at least four times weekly has been associated with: fewer eating disorders, less substance abuse, decreased risk of obesity and a greater chance for kids to graduate from high school. Look at the schedule and find a date where everybody has a free evening. Advise every family member of the date beforehand and tell them not to make plans. Dinner conversation should be positive. Wait until everyone has finished eating to bring up serious issues. After dinner, have a heart to heart talk with your child. Help her understand it doesn’t matter what other kids do. Ask her what she needs. Does he want downtime to rest? More alone time to read for pleasure or play computer games? Would it help to drop one or more extracurricular activities? Look at each activity individually and determine whether she enjoys it or feels the activity adds stress to her life. Explain the importance of a balanced life. Education must come first. Family activities, playing with other kids, free time, healthy diet and adequate rest are important. Experts are recommending a maximum of two extracurriculars at a time. However, as the parent you know your child best. One afterschool activity may be enough. If your child insists he loves all his extracurricular activities and doesn’t seem willing to give any of them up, you have one last option. Play the parent card! Of course, you should consider your child’s feelings, so try not to issue an ultimatum. Let her know you are concerned about her health and that her schedule is interfering with family time. See if you can come to a mutual conclusion about which activities to let go. There is no question about the values of extracurricular activities. The question is – is your kid overextended? If so, you are the final authority. 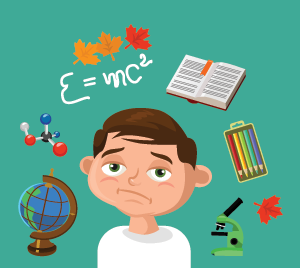 Help your child de-stress by advising her to get rid of extracurriculars that do not bring her joy. After all, kids just want to have fun. Especially at six-years old.